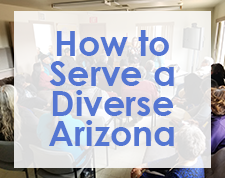 The Sonoran UCEDD is working to ensure health professionals are provided the information they need to prepare them to work with people who have disabilities. We have developed and are teaching a required curriculum to second year medical students on human development (see UA Course Work). We have established an annual interprofessional activity on disabilities for students from the entire health science campus and law school. We are teaching family medicine residents about caring for people with disabilities, with an emphasis on disability culture and history. In addition to caring for patients at the Medical Home Clinic at Banner University Medical Center South Campus, residents have other opportunities to work with the disability community, such as administering health physicals to Special Olympics athletes (as pictured to the right). 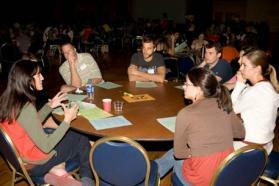 This anual activity brings together over 300 students from the Colleges of Public Health, Pharmacy, Medicine, Nursing, Law and Social Work to introduce the students to important topics in the lives of people with disabilities and to learn the value of working in a team with colleagues in other professions when providing care to people with disabilities. 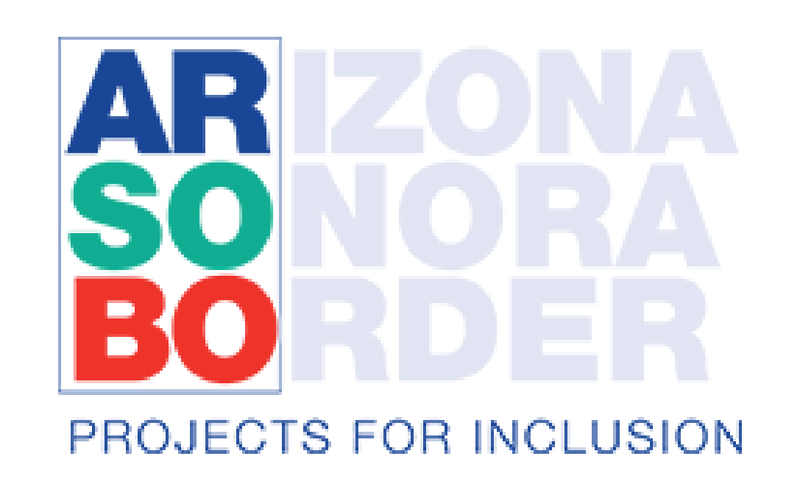 The Sonoran UCEDD coordinates the event in conjunction with the Interprofessional Education and Practice Program at the University of Arizona. The event includes a variety of activities to engage students including: viewing videos, hearing from professionals working in the field, participating in teams to work on case studies, and interacting with a panel of individuals with disabilities. The main message of this activity is that accessible and competent care involves working in partnership with the patient and other health care providers. Teaching Students About Disabilities: Why is it Important?